FP_PRO WIZARD METRA is a new software programme developed to be simple, fast and accurate in calculating quotes for the Metra Systems. Request information about FP_PRO WIZARD METRA Fill out the form to be contacted and receive information about purchasing the software. 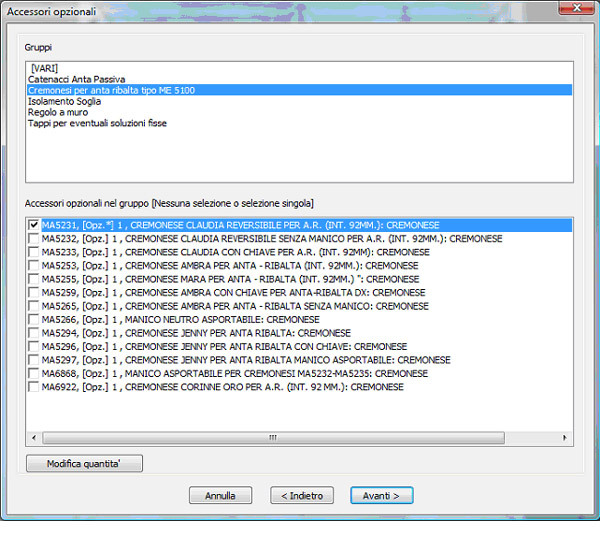 Even when multiple options are available, the software programme is already pre-set on a basic default choice representing the METRA offer. Each device is parametrically built into the software. This means that the choice of one accessory over another, can also be determined according to the size of the window or door and the weight of the vent. 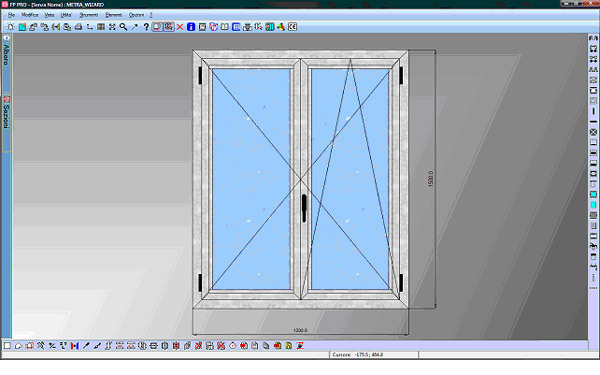 Using these parameters, the software is also able to manage and display any sizing errors during the calculation phase, such as excessive weight of the vent according to the opening selected or excessive height with regards to the limits reported in the catalogue, etc. The software was designed based on the METRA S.p.A.’s organisation. Essential concepts relative to quotes regarding logistics and availability of material are automatically managed by the programme. Even during the quotation phase the software takes into consideration the logistics and the delivery times of the materials. Once finished, the quote can be quickly transformed into a material order, by simply extracting the data already calculated by the ‘METRA WEB Edilizia’ service, which directly communicates with METRA’s business management software programme. 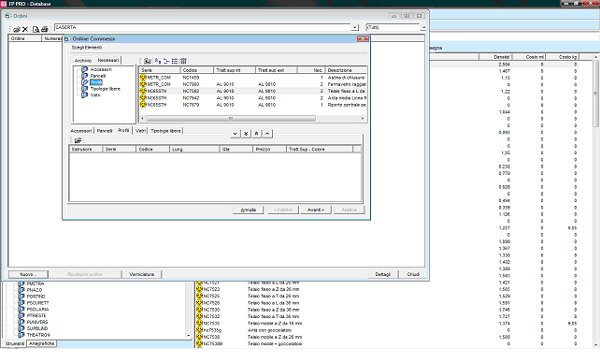 The software therefore cuts out sending faxes copying part numbers, thus obtaining a fast service that limits errors. This new tool guides the user through the design, quotation and order phases, dynamically interfacing and dialoguing with the other METRA S.p.A. services. The software archives have been directly created by METRA S.p.A. and include the set of profiles, accessories and seals that constitute a METRA series. In the last two years, the archives of all the METRA series have been completely reviewed and reconstructed by using all the new resources designed in collaboration with Emmegisoft and introduced into the software. FP_PRO WIZARD METRA software is now fully integrated with the METRA IT systems. 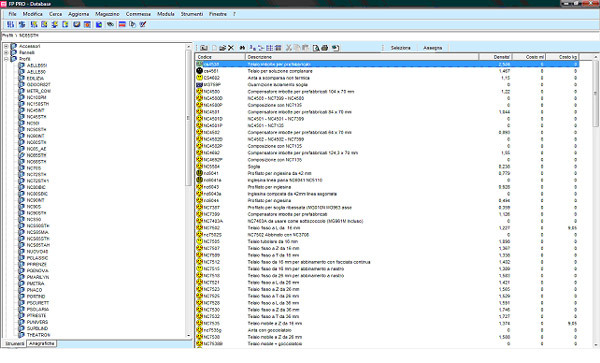 This means that each new profile, accessory, update and data sheet is present in the software database to ensure an instrument that is always attentive to the technical developments of the systems. 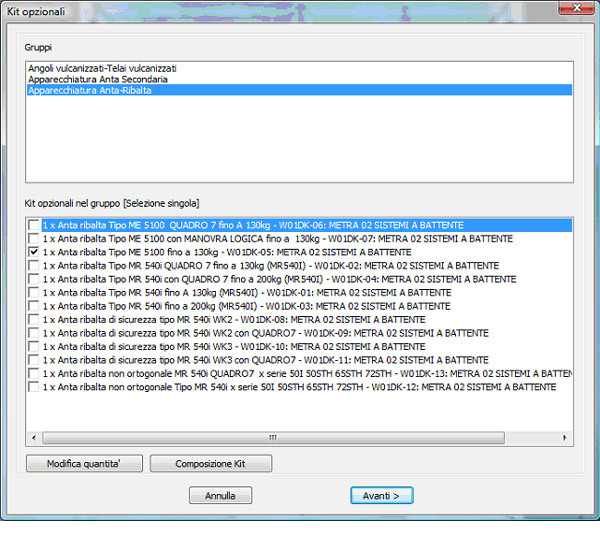 The software is available in Italian, English, German and Spanish with regards to the interface as well as the database and the output results.